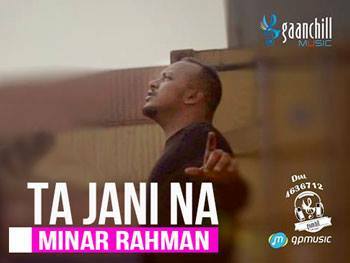 Ta Jani Na Lyrics It is an official music video song sung by Minar Rahman.Music Composed by Sajid Sarker and penned by Minar Rahman. Starring Bonny & Ridy Sheikh and directed by Taneem Rahman Angshu. Ta Jani Na Lyrics. A beautiful romantic song sung by Minar Rahman starring Bonny & Ridy Sheikh.